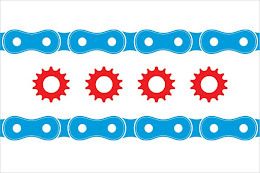 Chicago Alderman Richard Mell of Chicago’s 33rd Ward suggested at a recent a budget hearing that bicyclists in Chicago be required to have licenses. Alderman Mell proposed this idea in response to the City installing 100 miles of protected bicycle lanes throughout Chicago. The protected lanes are part of Mayor Rahm Emanuel and Transportation Commissioner Gabe Klein’s initiative to make Chicago one of the most bicycle friendly cities in the country. However, there are detractors to the idea. Ron Burke, executive director of the Active Transportation Alliance, responded by saying that licensing bicyclists is not actually a deterrent to reckless cycling. “What is a deterrent to reckless cycling is enforcing the laws that already exist,” Burke stated in the Sun-Times article, adding that safety education as well can be helpful. With the City planning to expand its bike renting program to about 3,000 bicycles by next summer, cyclist safety has become a top priority. The attorneys at Keating Law Offices have advocated for safer riding conditions in Chicago and currently represent numerous cyclists who have been injured while riding throughout the Chicagoland area. If you have any questions regarding this post or an issue involving Illinois personal injury law, please contact Keating Law Offices at mkeating@KeatingLegal.com 24 hours a day, 7 days a week. All e-mails and phone calls are returned promptly. All initial consultations are confidential and free.